As nonprofit professionals, it’s imperative to endlessly observe your member experience and reflect on ways to improve your processes. Here are 10 keys to enhancing your E-Learning to better engage your users. KEY 1: Get to know your members: What do your members value in educational programs? If you don’t know the answer, it’s time to find out. Get to know their generational and career stage preferences, technology comfort levels, content interests, and more. KEY 2: Enhance member benefits: Nearly half of all association members who responded to Abila MIP’s™ Member Professional Development Study want a combined, all-in-one option for membership and education. Yet, less than one-third of organizations report having this type of offering. Consider ways to bundle and personalize your membership and education to meet your learners’ needs. 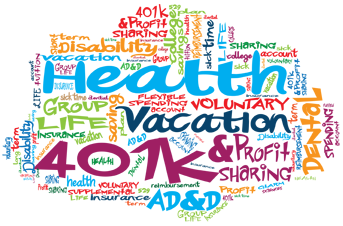 KEY 3: Attract young professionals: With Millennials representing the largest generation in the workforce, having a strategy to attract, engage, and retain them as members is crucial. Millennials want to learn new skills and advance in their careers, so creating programs that cater to these needs will help associations deepen their relationships with this group. KEY 4: Personalize your learning: Apply what you learn about your members, and deliver the content and communication that keeps them coming back. Content is the single most important driver for why members choose an educational offering over another. Use your data to deliver a personalized learning experience to your members. KEY 5: Wrap it in a bow: Make the buying process easy for your members with creative and strategic opportunities for them to access your content. Create packages of on-demand programs or a webinar series, or allow users to curate their learning experience with a create-your-own program bundle. KEY 6: Blend the distribution: We learned that members still use a variety of learning formats for their education. To cater to the different preferences, vary your methods of content delivery and offer multiple mediums for your programs. This will ensure you meet the needs of all your members. KEY 7: Get the bang for your buck: Offering multiple mediums does not have to be hard. Leverage the content you’ve already created. Take your in-person event and webcast it. Following the event, sell the recording as a whole or in segments with on-demand and podcast offerings. Don’t forget you can rebroadcast the program as well! KEY 8: Make it easy: Finding the right technology remains a challenge for organizations, with only one-third or fewer saying they are “very satisfied” with their systems. Finding a system that integrates, has a simple user flow, and offers options for live and on-demand learning content can make for a seamless experience for your users and staff. KEY 9: Engage your audience: Holding a learner’s attention can be difficult, with most saying they start to lose interest after one hour,. Incorporating interactive elements into your programming, such as polling and chat, can help to keep your members engaged. KEY 10: Offer certification (Professional Development): Earning certification and maintaining a license is one of the top reasons members seek professional development. Make sure your course and credit offerings meet the needs of your market. If you aren’t in a career that requires a license, consider creating your own certification program. To learn more about each key and how Abila clients are putting them into action, check out the 10 Keys to Enhancing the eLearning Experience whitepaper. New Webinar Added to the Enrichment Series! Ensuring compliance with unclaimed property state requirements and making the process less painful and cumbersome is key to this free webinar. Learn what constitutes “unclaimed property”, and the major changes to the Unclaimed Property Law that impacts all holders of unclaimed property. Receive an overview of the unclaimed property reporting process and some of the various techniques that auditors use to uncover unclaimed property. Understand the various types of property that may be claimed by the states as unclaimed property and learn various possible structuring techniques to reduce unclaimed property liabilities. How to ensure compliance with unclaimed property state requirements and make the process less painful and cumbersome is key to this free webinar. Learn what constitutes “unclaimed property”, and the major changes to the Unclaimed Property Law that impacts all holders of unclaimed property. Receive an overview of the unclaimed property reporting process and some of the various techniques that auditors use to uncover unclaimed property. 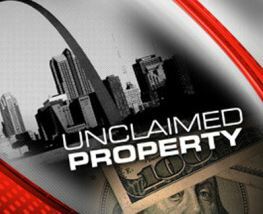 Understand the various types of property that may be claimed by the states as unclaimed property and learn various possible structuring techniques to reduce unclaimed property liabilities. 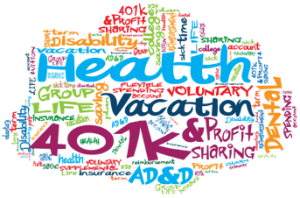 The number of options related to employee benefit packages can be overwhelming. Non-Profit organizations are limited on the amount of money they can spend on employee benefit packages because of funding requirements. So how do non-profit organizations compete with other organizations in order to attract/retain good employees? Learn how your organization can “beef up” the benefit offering to employees without increasing costs to the organization by attending our free NP Enrichement Series webinar. Steve Pohlman, Owner of Steven C. Pohlman, CPA is a CPA with a tax and consulting practice in Mercer Island with a history of helping people and businesses navigate through regulations and reporting requirements. He began his career in 1980 at Knight, Vale and Gregory, CPAs, working in the audit and reporting side of the business. After moving into the private world as the CFO of a trade association, he started his own business doing personal and business tax returns and helping small businesses with their accounting needs. Four years ago he added voluntary benefits to his suite of services to help employers attract and retain high quality employees.